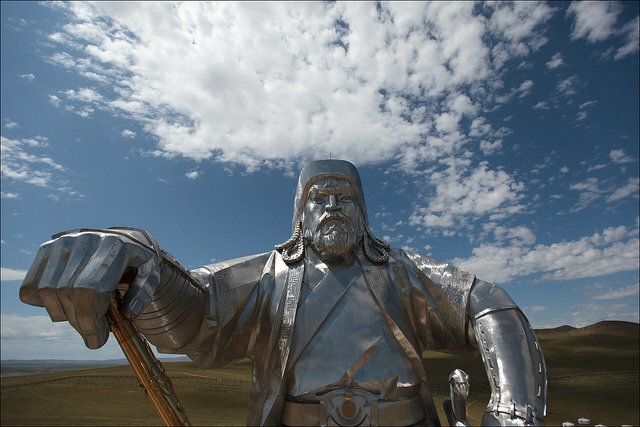 Geneticists from the University of Leicester have discovered that millions of modern Asian men are descended from 11 powerful dynastic leaders who lived up to 4,000 years ago – including Mongolian warlord Genghis Khan. The study, which is funded by the Wellcome Trust and published in the journal European Journal of Human Genetics, examined the male-specific Y chromosome, which is passed from father to son, in more than 5,000 Asian men belonging to 127 populations. Most Y-chromosome types are very rare, but the team discovered 11 types that were relatively common across the sample and studied their distributions and histories. Two common male lineages have been discovered before, and have been ascribed to one well-known historical figure, Genghis Khan, and another less-known one, Giocangga. The Leicester team found genetic links via a chain of male ancestors to both Genghis Khan and Giocangga, in addition to nine other dynastic leaders who originated from throughout Asia and date back to between 2100 BC and 700 AD.